HOW LONG WILL CARPET BEETLE EGGS LIVE? There are several species of carpet beetles found throughout the United States. The more common species include the varied carpet beetle, the common carpet beetle and the furniture carpet beetle. Distant relatives include the hide and odd beetle. These beetles are amongst the most common pests found in homes. This is true because they usually don’t develop large populations which are easy to find. You’re more likely to find one or two every now and then but since they live in hidden areas “out of sight”, carpet beetles tend to be “out of sight, out of mind”. Unfortunately, their populations will readily grow and if left to feed as they wish, they can cause significant damage. Carpet beetles exist throughout the entire United States. They mostly live outside feeding on many types of plants. During the summer months, when populations are most active, they’ll find their way into homes through windows and open doors. Carpet beetles can fly so it is easy for them to get inside. It is not known why they seem ready to get into our homes, but its suspected there are certain scents or odors which lure them. Like the common house fly, carpet beetles seem to know when doors or windows are open. If they enter at this time, they are usually looking for a place to lay eggs. Adults which have fed during the summer months mate and females will spend their time laying eggs. All types of carpet beetles resemble lady bugs but are smaller. in general, they’re about 1/3 to 1/2 the size of a lady bug. 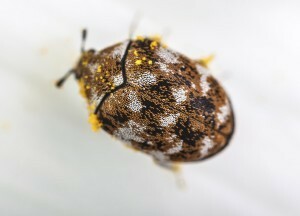 The coloration of carpet beetles will vary. Like snow flakes, its not likely you’d find similar patterns on any two specimens unless they’re gathered from the same home. Only then is it likely they came from the same DNA. Carpet beetle color will range from light to dark. You may find some with different colored spots on their wings; others will be solid in color. Although their look and coloration vary, a trained eye can properly identify them. Once inside the home, female carpet beetle will look for a place to lay eggs. She will lay 50 to 100 eggs on surfaces that she expects will provide good food for hatching larva. In fact the larvae are the stage which cause the damage. They eat just about anything. Common food includes carpet, furniture, clothing, drapery, pet or human hair, antiques, and just about anything made with or has natural material on it. For example, most synthetic carpets have some natural content mixed in during the manufacturing process and can be food for carpet beetle larvae. Carpet beetles ability to find food enables them to live on many items found in the home. Most people will find “pockets” of adults or larva. This is common on the underside of furniture, along the baseboard where carpet meets molding, under area rugs, or in closets. So don’t be surprised if you notice them in one small area but can’t find them elsewhere. But 3-6 months later, they turn up in another area of the home and are no longer active where you first saw them. This is classic carpet beetle behavior and very much “normal”. Carpet beetles generally lay eggs just once a year but once established in the home, they may produce them more frequently. Adults live 2-4 weeks and can lay 100 plus eggs during their short life as adults. You may find a carpet beetle pocket nesting in a piece of furniture in the living room and then another group upstairs in your closet. These pockets could have been formed by different beetles coming in the home or a single egg laying female could have left the furniture downstairs and laid eggs in the closet. Because of this random behavior, its very much smart and necessary to treat all carpeting, furniture, etc. to insure some are avoiding the treatment. Many people will make the mistake of not treating certain areas or maybe ignoring their furniture. This is not recommended. The most frustrating type of carpet beetle infestation is one which is thought to be in a closet. In these scenarios, a piece of clothing is found which has a hole or two chewed in it and are immediately diagnosed as having been eaten by clothes moths. In fact its much more likely the insect causing the damage is a carpet beetle. Moth infestations are easy to identify because you will see adult moths flying around the clothing. You will readily find adults, pupa casing or cocoons and larva in your clothing because they tend to stay where they are feeding. But carpet beetles are very different. Once the larva feeds, they will generally move elsewhere to pupate. They won’t move far, but they usually won’t stay in the clothes and therefore its sometimes hard to find anything that might be causing the damage. When this happens, its a sure sign you have carpet beetles. Controlling carpet beetle infestations can be difficult. This is true for several reasons. First, they’re likely to be active in small areas but there are usually several such areas throughout the home. So unless you treat everything, its quite possible to miss a key area. Second, they tend to be active in hidden areas. Unlike roaches, ants or flying pests, carpet beetles feed and nest out of sight. Though most pests learn to hide out of sight, they tend to feed where we are likely to see them so we know the pest, where its active, where we need to treat, etc. Carpet beetle infestations are more likely to be discovered because of the damage they do – not because large populations are being found. Third, the cycle of the carpet beetle enables them to have a built in defense mechanism against treatments. Although larva and adults are easily killed, eggs and pupa are not. When you treat, it is likely you will kill adults and larva which are active. However, eggs and pupa can remain dormant and developing for many months. This enables them to avoid the residual treatment because it will have worn down and weakened to such a degree that they can get re-established. To stop this from happening, its important to treat at least once a month for 3 months straight if not 4-5 times. Here are some more guidelines that apply to carpet beetle problems to help insure a successful treatment program. 1) Be sure to treat all carpets. Though you may have synthetic carpeting throughout the home, don’t ignore it. Carpet beetles will readily target any fiber and you don’t want to miss even just one pocket of activity. 2) Don’t ignore area rugs. These are readily infested since they’re more likely to have natural fibers. Be sure to turn the edges up and to treat 2 feet “in” under the bottom side if not the entire bottom. 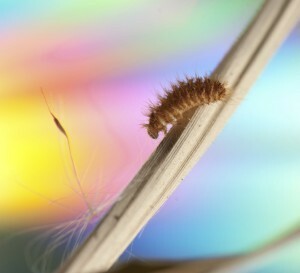 Larva will feel right at home under area rugs and if you see some on top, there are probably more on the bottom. 3) Treat all fabric woven furniture. Be sure to turn furniture upside down and get their bottoms. If the light fabric on the bottom is hanging low or is torn, spray inside the piece. Larva and adults will readily seek such places. 4) Don’t skimp on chemical applications. Because carpet beetles tend to be deep in carpeting, its important to have good “penetration”. If you disperse the amount of mixed material over too large of an area, it may not get down deep enough where it needs to be. This will render the whole treatment ineffective. 5) Understand it will take time! Since eggs and pupa are impervious to the chemical treatment, they will continue to live. After 30-60 days, they may hatch and live as if you never treated if the original chemical has broken down. In fact this happens quite a bit which is why you should expect to spray 3-4 times for most any carpet beetle infestation. Now once under control, you may want to treat once every 3-4 months to make sure they don’t come back. More about these options will detailed below. 6) Clothing where infestations have been discovered needs to be inspected. Though you can spend a lot of money laundering all your clothes, its usually not needed. Take a vacuum to all your clothes for a quick and effective way to remove adults, larva, eggs or pupa. Be sure to throw away badly infested pieces. 7) Do a thorough vacuuming of the home before treating. This helps because it will remove some of the beetles as well as get them lifted “up” so they’re more vulnerable to the treatment. Basically the spray will have more of an impact if the beetles are stirred up. The above guidelines are general and apply to most situations. If you have a unique problem which may need some further preparation, be sure to call for suggestions. Now that you’ve vacuumed and allowed for access to furniture and closets, you are ready to treat. Treatments will generally be done with one of our SPRAYERS. Be sure to use one which has a nozzle that sprays in a flat fan. This means it comes out much like the way a paint brush applies paint – in a pattern which is uniform and constant. Nozzles which spray inconsistently will not allow the product to be uniformly distributed over surfaces. This will lead to areas not properly treated which will let the carpet beetles live. Our private label sprayer comes with the exact tip needed to do the job correctly so before you do anything, make sure you have a good sprayer for the job or get one of ours. Watch this short video to see what a “fan pattern” looks like. There are several chemicals available for carpet beetles but based on our results, one of the best is D-FENSE SC. This material is odorless, will easily last a month and will knock the population down quicker. It uses Deltamethrin for the active which is very effective for a wide range of household pests. Mix 1 oz per gallon of water and expect to treat once a month for at least 3 months using 1 gallon of mixed material for every 800 sq/ft of area you spray. Now since there can be eggs throughout the infested area, it’s important to think “big” when spraying. This way you insure you get all stages sprayed – including any that might be hiding. Since carpet beetle eggs can lay dormant for 3-6 months, it may be necessary to treat every month for 4-6 months to get complete control. Every case is different. So in general, 3-4 treatments will resolve about 50-75% of the homes treated for carpet beetles. But for the other 25%, 4-6 treatments are needed. This is why some pest control companies will charge $1000.00 and up to do a job! Its very likely they will have to come back to the home several times and since there is no way to know how long any one population of carpet beetles will need treatments, they must insure they’re properly covered for a worse case scenario. So to help insure you don’t miss any developing eggs, add INSECT GROWTH REGULATOR to your D-Fense tank mix and use it at the same time. Growth regulators are basically a juvenile hormone (protein) which is labeled for many pests like roaches, ants, etc. And when egg or larvae are exposed to this protein, they’re not able to properly develop into adults. This can help big time by ending the life cycle of the existing population. Add 1 oz of IGR along with the 1 of of D-Fense in a gallon of water for every 800 sq/ft of area to spray and you’ll be adding a big “helper” to the treatment. 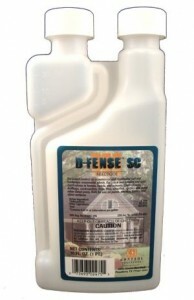 Now remember, the D-Fense will only last about a month so by adding a growth regulator to the tank mix, you can enhance your treatment and get longer protection without doing a lot of extra work. Growth Regulator lasts 2-3 months and helps to stop the likelihood of re-infestations by controlling the young stages. And since there are so many locations for eggs to hide, every tool you’re able to add to your arsenal can make the difference between success and failure. Another “tool” that can help is DELTAMETHRIN DUST. Since liquid sprays are not well suited for all the areas carpet beetles may be active, the use of a dust can help. Remember, eggs and adults will many times be “up and inside” furniture hiding just below seat cushions and very much out of sight. How do you treat these areas without soaking the furniture? Well, you can’t. Better suited for the job is either a dust or aerosol. For the underside of furniture, nothing beats a light dusting with Deltamethrin Dust. This product is light and a lot like baby powder so it permeate up and around the hidden area. And since treatments will last 6 months, you generally only have to treat once and you’re done. Use a CRUSADER HAND DUSTER to apply the dust up and into the spaces and voids where carpet beetle love to hide. The duster is easy to use and will make treating easy. Dusting is also ideal for getting coverage under baseboard molding. There is a big space in this area where carpets “tuck” under the wood. Carpet beetles love this location and regular liquid spray won’t get into the void adequately. But dusting with Delta Dust will take care of it for good, with just one treatment. If by chance you have a small area to treat, like a single piece of furniture, area rug, hardwood or tiled floors, a closet or an automobile, go with BEDLAM PLUS. It’s practically odorless and contains both an adulticide and an egg killer. It’s more costly to use compared to the liquid sprays but because it’s conveniently packed in one can, Bedlam is ideal for small jobs and for flooring where spraying a liquid is not cosmetically possible (like hardwood or tiled floors). Like the D-Fense, you’ll need to use it once a month for 2-3 months for complete control. One can will treat up to 1500 sq/ft and it can be used on mattresses, beds, etc. making it ideal for hard to treat sensitive areas in the home. Lastly, we have several carpet beetle traps which should be used to help control and monitor the problem. Keep in mind the use of traps should not be considered a “solve all” mechanism. But they should be deployed with most carpet beetle control programs. They can help by identifying problem areas that may have been missed or they can help by alerting you to an outbreak of hatching eggs and/or pupae. 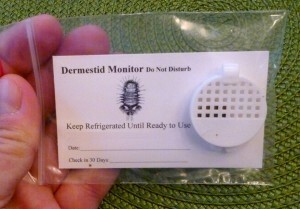 The first trap is our DERMESTID MONITOR. These “half dollar” sized discs are full of a food lure carpet beetle larvae like to eat. These monitors will attract larvae from several feet away. Set them in sensitive areas where they can serve as an early warning system to missed areas, newly hatched larvae, etc. Dermestid Monitors are NOT traps so any larvae you see foraging around, on or inside the discs need to be removed by hand, vacuum or piece of scotch tape. These traps are well suited for museums, clothing stores and rug warehouses where monitoring is helpful. In homes, the Larvae Traps listed next is the better option. So for use in the home where carpet beetle larvae have been seen or found dead, set out CARPET BEETLE LARVAE TRAPS. These traps feature a food lure dermestid larvae cannot ignore. The trap features a unique entry system with small holes and curved “grooves”. Be sure to place this side down so foraging larvae can use the grooves to find the holes and enter. Once inside, they’ll get stuck on the clear non drying glue. For adult beetles, we have two kinds of CARPET BEETLE TRAPS available. The Hanging style can be set out around windows or large open areas where adults have been seen flying. Low profile traps should be deployed on furniture, carpets, rugs and under furniture where space is limited and tight. Keep in mind that unlike the Dermestid Monitors which will attract a wide range of larvae, the pheromone traps are specific to either VARIED CARPET BEETLE or BLACK CARPET BEETLE species. How can you tell which carpet beetle specie is active? That’s easy. Varied Carpet beetles will be multi colored. Typically they’re light with different colores mixed in. These other colors will be odd shaped and each beetle will look unique and different. Black carpet beetles will be solid in color. Typically they’re dark brown to black but can be dark gray too. The key to tell its a black carpet beetle is that the color will be consistent on its shell all the way around with no variation or odd discolorations randomly appearing. 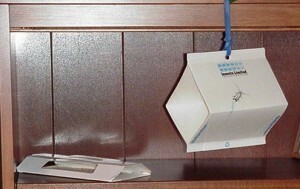 Either trap will remain active for 2-3 months and should be set throughout the home. You can “mix and match” traps to take advantage of quantity discounts so if you have a mixed infestation, get some of both. Also, its important to understand that carpet beetles will usually get “in the mood” 2-4 times a year so in general, there will be one month per quarter where the adult beetles should be attracted to the traps you set out. In other words, they may not collect beetles for 1-2 months and then all of sudden, several get caught. This is normal. Just be sure to inspect them 1-2 a month and replace them after 3 months if you suspect the problem is lingering. But for some, keeping fresh traps in the home year round is a good practice so any new outbreaks are easy to spot and control before damage is done. What categorizes an infestation? I had 2 new blouses in bags between my closet and my dresser. A turtleneck was purchased on clearance and was out of season. I kept forgetting to put it in storage. The other blouse was the wrong size, needing to be exchanged. It had been there for maybe 2 weeks. When I was deep cleaning, I found a beetle on the turtleneck with one larva. I later saw something that looked like a fiber on the other blouse but when I went to remove it, I swear that it jumped. I assume that, too, was a larva. I have since cleaned the floor of my closet. I found 2 things that could be a molting and one dead beetle. I have moved everything that was on shelves or the floor into the trash or the hot 105 Kansas heat to be cleaned before returning to the treated closet (shoes and blankets). We are treating the carpets today. I assume, from reading this article, that there are more in our home. We are deep cleaning everything this week. We are steaming and treating the carpets. But I am not sure what classifies an infestation. Finding 1-2 adult beetles in the home, especially during the summer months, is normal. But once you start finding eggs or larval stages, it’s obvious you have an active infestation. The main reason I say this is because it’s hard to find any carpet beetles in their larval stages. And on average, we know for every 1-2 of them found in the home there is usually 10-20 elsewhere hidden and out of view. I also suggest you set out some Carpet Beetle Traps throughout the home as these will no doubt enable you to better monitor and watch different “zones” of the home. This can be important in case there is another hotbed of activity that’s been overlooked. Lastly, I feel I should caution you about the “deep cleaning” you mentioned. As our article explains, getting your clothes dry cleaned or laundered is suggested to get rid of rogue eggs, larvae or adult beetles. However, this should only be done after the home is completely treated. More importantly, once the home is treated, you MUST NOT clean the carpets or furniture as this will cancel out the treatment. And since the cleaning process in most homes helps carpet beetles thrive, by canceling out the treatment you will be creating a perfect environment for this pest to thrive. So if you feel like you must clean the carpets and furniture, do so before treating. This way the treatment will be put in place and allowed to do it’s work which can take several months to complete. @Elizabeth Smith: If you review our article above, you’ll learn that homes with pets are prone to carpet beetle infestations. This is largely due to the ability of carpet beetles to live off pet dander. So the first thing you need to do is to thoroughly vacuum the home. And that includes all the hardwood flooring. Pet hair and dander will accumulate everywhere and by removing this (along with other food microscopic “food” for carpet beetles), you can no doubt reduce the ability of this pest to be prolific in the living area. Next, you’ll need to start treating with the Defense and IGR. These two products should be mixed together and then sprayed to all carpeted areas as well as couches and other furniture with fabric. Now since carpet beetles take awhile to develop, you’ll need to do this every 2 months until the problem is gone which usually takes 3-6 months. Lastly, set out some traps. These will help by collecting some and alerting you to problematic areas needing further attention. In the end, this might sound a bit overwhelming but if you follow these directions and stay the course, you’ll be able to get rid of this current infestation and keep them away for good by treating every 3-6 months once they’re gone. Does the permethrin kill larvae or just adults? Is it deltamethrin or something else? Thanks! Permethrin is like Defense in that it will kill all stages so yes, it can kill adults and larvae. But using the Growth Regulator will effectively kill eggs which is something the Permethrin or Defense cannot do. And since you can apply both mixed together in the same tank, it makes sense to use them at the same time. As for Deltamethrin; it’s a closely related product and can be used for this pest too. I’m thinking even in changing the carpet for the whole house (would this help? )… Please give me some advise of what can I do. I don’t know what to do and I don’t want to get ripped off if I hire and exterminator ( I’m in Seattle). First you should read our article above. It will highlight all you need to know about this pest. Second, you’ll need to decide if you want to hire a service company or do the work yourself. No doubt hiring a company will cost a lot compared to doing it yourself and since we’re selling what the pro’s use, anyone can achieve the same results with a little effort and the proper attitude. So if you’re looking to save a little $ and aren’t afraid of doing some work, we can no doubt assist you handling this problem. Third, understand that cleaning carpets will not do much except get these beetles more active. And though using the Dyson will help remove some adults and larvae, the eggs and pupae are literally “attached” to fabric (carpeting and furniture) in such a way that no vacuum can remove many of them. Fourth, replacing your carpets won’t solve the problem. And though the new carpet won’t have carpet beetles when first installed, within weeks it will be infested unless you properly treat it once it’s put in place. So whether you get new carpet or not, you’ll still have to treat. In summary, if you decide to do the work yourself, we can help. Basically it will take some Defense and Nylar along with a pump sprayer to spray the mixture. I also suggest you set out some Carpet Beetle traps. Now if you do a thorough vacuum with the Dyson prior to spraying and then apply 1 mixed gallon of product to every 800 sq/ft of carpet and furniture, I’m sure you’ll be able knock out this infestation. I recommend treating at least once a month following the same routine and if your problem is like most infestations, you’ll start to see positive results within 1-2 months and with any luck, be done with it by 3 months. My carpet beetle problem started in September. Since then I had to throw away my living room set because it was a nest of larvae inside each sofa. I cleaned my house thoroughly, I threw away clothes and bags where the beetles were present. So instead of me seeing lots of beetles at one time like I use to, I may see one or two around the house now. It’s so frustrating!! I did as much as I can. Why are they still present in my home? Where else can these annoying bugs be hiding out? I would have to do the job myself because hiring a exterminator can be costly. As explained above, carpet beetle pupae will be developing and hatching for many months following a treatment. Now if you haven’t yet treated, there is a good chance it will go on even longer. This is mostly due to the fact that carpet beetles can traverse large areas and feed on most anything found in the average home. So even though you may have removed the bulk of their nest site, it’s simply not possible to remove all possible nest sites nor all the eggs, larvae and pupae that are no doubt dispersed in the home. And this is why control can only be achieved by treating and waiting for it to take full effect which usually takes a few months. At this time I suggest you do a thorough spraying with some Permethrin and Nylar as explained above. The Permethrin will kill off any adults and larvae; the Nylar will stop eggs from thriving. And be sure to treat all fabric like furniture, rugs, drapes, etc. If you’re thorough enough, this one treatment could solve the problem though we suggest treating monthly till the problem is gone and you’re no longer seeing any activity. This insures you get them all. I’m worried about the spray on my upholstered furniture and antique oriental rugs. Does it stain? Will they have discoloration or a strange smell? How long until we can sit on the furniture again? The Defense, Permethrin and Nylar listed above are all pretty much odorless and made with the expressed intent of being sprayed on fabric like rugs, furniture, etc. For that reason they generally will not leave any odor or cause stains. Remember, you’re mostly spraying water with just a few ounces of product added. Now if the fabric is something that cannot handle water, then by all means do not treat it. And in cases where you’re treating something extra sensitive or valuable, simply test an underside or other “out of view” section of the fabric first. Allow it to dry 1 day and see if you detect anything to your disliking once allowed to sit a day. In most cases the treatment will be undetectable but for something important, testing first is always smart. Please help. I just moved in to a co-op and I have carpet beetles under my stairs. My stairs are carpet. They’re on every step that means they’re everywhere. How do I get rid of them? Please help!! DESPERATE 4 help/understanding/relating to a nightmare my imagination cannot fathom! “INFESTED” doesn’t give enough credit 2 what is going on in my home. Carpet beetle larvae everywhere! I truly mean “everywhere”. I have contracted with a reputable extermination company. I feel I shouldn’t be finding at least 7+ larvae alive a day. Nobody understands what I am going through and was even disbelieving until recently because my house looks clean and nobody see’s bugs running across my floor. I am disheartened and need someone to ask questions that understands carpet beetles. I am only now really finding the extent of problem. I am horrified with the # of cast skins I find everyday. I have spent thousands already and I don’t know where to turn. Please advise! First, I’m sure we can help. Second, don’t panic. Third, make sure you put into place a course of action that will take care of the problem. Remember, it’s not whether you spend “thousands” or not that will matter. But will solve the problem is a proper treatment so now the question is whether you are willing to do the job right or hire someone to to it for you. So to start, you need to take some time and read our article above. In the reading you’ll learn carpet beetles will regularly infest carpeting and furniture. Based on that premise, it’s important you focus on these areas whether you think they’re nesting there or not. But before you do any spraying, you must do a thorough vacuuming of the entire home (hardwood and tiled sections too!). This way any loose cast skins, eggs or rogue adults will be removed and in doing so, enable you to tell if new ones are appearing and where they might be focused. Once the vacuuming is complete, you need to spray everything with either the Permethrin or Defense using a good pump sprayer. You will also need to add some Nylar to the tank mix as well. The Permethrin or Defense will kill larvae and adults on contact and the Nylar will take care of any eggs that might be present in the treated area. Understand the spraying must be thorough and that you must use the right amount of product. A good rule of thumb for each gallon of mixed material will be to cover about 800 sq/ft. So if you have a lot of carpeting and furniture, you could easily use 2-3 gallons of mixed material. Now every 3-4 days following the treatment, you should start to look around and see if there are new cast skins emerging or if you can find any other new activity. The bottom line is that if you treated with enough material, you should be able to kill all active stages with one good spraying. But since eggs could very well be hiding somewhere you miss or didn’t think to treat, the key to knocking out most problems will be to find the hot spot where the problems are originating. This could be around a pet bed, a crawl space, a closet or maybe some draperies. Again, carpet beetles can thrive on anything natural so most homes will be filled with “food” for them and you need to get these areas treated if you want to get rid of them once and for all. In summary, carpet beetles can be controlled as long as you are thorough and persistent with your treatments. Give us a call if you need further advice but based on your message, it would seem that what’s needed here is a direct and aggressive application because this approach will work when done properly. And once you get a couple of these thorough treatments in place, I’m sure you’ll see improvement and eventually, carpet beetle control. I am planning on having my house tented for drywood termites soon. I am sure after reading the above article that I also have carpet beetles. I have not seen evidence of them but have had a lot of my cotton clothes ruined with small clothes. It disheartens me to read they thrive where there are pets —I have 4 dogs and 5 cats!! Anyway, can you tell me if the gas they use in tenting (Vikane) also kills carpet beetles? Tenting can kill most any insect that might be present in the area which is fumigated. But there are limits on what it can do. First, is the entire house being treated? Remember, even though it all might be covered in tarp, it does not mean every area will be treated. Second, the Vikane does not leave a residual. In other words, as soon as it’s gone, so too is it’s effectiveness. So any carpet beetle stages that avoid the treatment will continue on and should be able to thrive if the home isn’t treated as explained above in our article. So in summary, the only way to be sure the home doesn’t have an ongoing problem would be to treat with Nylar just before the home is tented. This way you’ll have in place a growth regulator that when combined with the Vikane should knock them out for good. And if you continue to treat the carpeting, furniture and baseboards with Nylar every 6 months thereafter, the problem should never return. I saw three beetles crawling on my favorite old blanket and immediately threw it away. For the past month, I would see one or two in my room, as that is the ONLY room that has carpeting, but have spotted three or four in roundabout places. How do I treat this, considering the rest of my place has hardwood floors or tile? No different. Hardwood floors and tiled floors should be vacuumed to remove eggs, larvae, etc. and in general, don’t need to be treated. But furniture, carpeting, area rugs, mattresses, etc. should be treated with one of the options listed above. And don’t forget the closets. You just don’t have as much treating to do but the process is exactly the same. I found larva about 20-30 larva in my car. The pest control companies that I contacted told me that they do not treat cars. Any suggestions? Do the work yourself. This is about as easy as it gets so the treatment would take very little time too. First, thoroughly vacuum the carpeting in the car. Make sure you get all the nooks, cracks and hidden spaces larvae may be hiding. Next, treat with the Bedlam Plus listed under the Aerosol Spray section of our article above. It’s pretty much odorless, will kill both adults and larvae and is real easy to apply. And since the carpeting in a car is such a small area, you’ll have plenty in one can to treat several times. I think I just discovered carpet beetles in my closet. I have been in the house for three years and kept a laundry bag of clothes that needed alterations in the closet for the last three years. It was right below my hanging clothes. I am about to move, so I was pulling the bag out to see what I could keep. The top two items were brand new and seemed fine with no damage but the third piece was a sweater that was completely eaten away. I looked more closely a the bag and could see casings throughout. I rushed to get a trash bag, wrap it up and put it outside. I also spayed a couple shots of lysol into the closet and on the bag before I handled it and put it into the trash bag. Did this help? I have not, in 3 years, seen any damage to my hanging cloths. But I want to know how to handle the closet to keep this thing from spreading. I can’t even say that I have seen any adults in the house while I have been here. Before I pull anything out I want to know the best course of action. Should I be worried about my hanging clothes? If you have carpet beetles, you should treat. Worrying won’t do anything so I never recommend that type of response. But a liquid treatment using the Defense and Nylar listed above will take care of any that might be active unseen on furniture and carpeting. It’s fairly easy to do and the two products will handle all stages of this pest insuring you won’t be bringing any with you when you move. Or at least, you won’t be bringing any with you that can infest your new location. Another option to consider is the Bedlam Plus. This aerosol combines an adulticide with the growth regulator in a can that’s ready to spray. For this reason its quite convenient to use. Now its not cost effective so I would say the Bedlam would only be good for a small area, like the closet, but not the entire house. So if you’re wanting to do something in the closet area only, this option will suffice. Lastly, the Lysol you’ve sprayed will not do anything for carpet beetles. Yes, it will take care of some germs and odors but for insects, you’ll need an insecticide like one of the options listed above. So if I understand correctly, you are suggesting spraying and treating the area before laundering or dry cleaning the clothes in the closet? If at all? What I’m saying is that first, you should remove the clothing (and anything else in the closet) and then treat the carpeting in the closet thoroughly using either the liquid or aerosol products listed. Now once the closet is treated, whether you dry clean your clothing or not is not relevant as it relates to carpet beetles. In other words, if you only treat the closet carpeting and ignore the rest of the home and then put your clothing back into the closet after the closet is treated, whether you dry clean your clothing or not won’t matter; all the clothing will be very much vulnerable to carpet beetles. I say this because it’s entirely possible for beetles to be living in some other part of the home (if you don’t treat the rest of the home) and any one of these beetles could easily migrate to your closet, find your clothing and lay eggs on it. In summary, dry cleaning and laundering your clothes should not be considered doing pest control since it offers no protection from carpet beetles. And with that being said, there is no point in doing either unless the clothing is dirty and due for a good cleaning. But if you’re finding beetles or larvae on some of your clothing, I would recommend giving it all a good once over with a vacuum and then laundering and dry cleaning it all at the same time as you’re thoroughly treating the closet and rest of the home. I’m not sure what options you can’t do but what I would recommend you should do is get some Defense SC and IGR. Next, spray any carpeting and furniture in your current apartment as soon as you can, before you leave. This will control any that might try to hitch a ride on your belongings when you start the moving process. I also recommend spraying the carpeting and any fabric furniture of your new place before you move in. This will put in place a protective barrier so that if by chance you brought any carpet beetles with you, they won’t be able to get established. More importantly, treating the new place will take care of any pest problem present that you don’t know about. This would include roaches, ants, carpet beetles, etc. In fact, treating inside the home when it’s vacant is the best time to treat since most every area will be easy to access. Hi. We recently discovered carpet beetle larva in our closet. We just moved from an apartment that was infested with them and I was hoping we wouldn’t bring the problem to our new home. Unfortunately, it appears we did. Having dealt with this issue for the past couple of years (my landlord never took the appropriate measures to deal with the problem), I am sick over the fact they’re here. I thought I did all that I could to prevent any from “hitching a ride”. I’ve only seen the two larva, but knowing the nature of this pest, I’m assuming there are more somewhere. Needless to say, I’m frustrated and do not want to deal with this anymore. Obviously, I want to deal with the situation in the most effective and speedy way possible so it doesn’t reach the severity it did at our apartment. However, I need to do so in a safe way as I have 3 very young children. Are there any products I should not use because of the kids? Thank you for you advice. In fact all our products can be used safely in the home around the family without undue risk or hazard. There are some basic guidelines you’ll need to follow (like keeping kids and pets away when treating and then making sure the application dries) but all such details are covered in our safety videos. These are definitely helpful and should be watched. The main one you’ll need to view can be found at any of the product pages of the concentrates and it covers all you’ll need to know regarding the safe mixing, spraying and storage of our products. As for what to do? First, thoroughly vacuum the home. 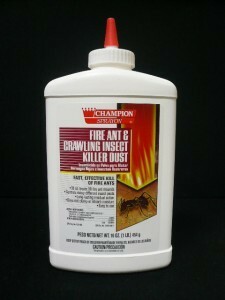 This will help remove eggs, larvae, pupae and adults. Next, treat with Defense SC and IGR. Get all carpets and any fabric furniture treated. This routine should be done once a month until you believe the problem is under control. 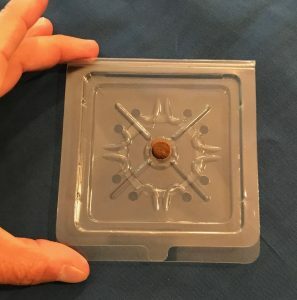 Lastly, setting out some traps will help monitor the problem to make sure you haven’t missed a “hotspot” or if there is a certain area in the home that need extra attention. We have all wooden floors except for some area carpets. I found carpet beetles/larvae on a woolen area carpet and some larvae in clothes in boxes on the floor all in the kids room and also some larvae in the connecting room in some of my woolen clothes 2 weeks ago (no damage was yet done). 2-3 days later I decided to throw away the carpet. After careful cleaning (clothes/fabrics/toys through hot washes and in plastic bags) and vacuuming I haven’t seen any since Sunday (4 days ago). My question is whether or not I need to seriously worry about areas where I didn’t see them? I didn’t see a beetle or larvae on the two area carpets in the lounge room or in the hallway. (I only found a few adults by the window in the lounge room). I have been vacuuming these carpets regardless. Do I still need to treat them? And the second question is how long do I need to go without seeing a larvae to take a deep breath out and know that the problem is behind me? Your informed opinion would be GREATLY appreciated. Your vacuuming will help but it won’t solve the problem. And since ignoring one section of the home with a rug can enable the problem to linger, treating all the rugs is very much warranted and the “smart” way to proceed. With that being said, I suggest you give the home a thorough treating with both Nylar and Defense. Treat monthly and if you’re getting them where they’re nesting, you should not see any more larvae or adults by two months following your initial treatments. Thank you for the extremely informative article. I plan to purchase the products you recommended and begin treating my home immediately. We’re now going on a SIX YEAR carpet beetle struggle that seems to disappear and then return in cars and homes that were not previously infested. We’ve never treated with pesticides, but I’m now at the breaking point where I can’t deal with another infestation. You were very clear about the treatment plan so I don’t have any questions about that. However, I do have a couple of burning questions that I really hope you can answer out of the kindness of your heart. It’s necessary for me to go through the history of our problem step by step, so please bear with me. It started in 2009 when we lived in Ohio and the floors of my husband’s car became heavily infested with carpet beetles. He always left the windows down and had spilled coffee and food on the floors more than once. He also isn’t the cleanest person, so he didn’t vacuum his car very frequently. To top it all off, it rained in the car once or twice when he left the window down, so there were definitely things growing in that carpet to attract nesting beetles and feed them. I started noticing them in the house after a few months. They were only in the kitchen on the windows though–I never saw them anywhere else. At the end of the summer 2009 we got rid of that car and moved to Washington, D.C.
We didn’t see the beetles again until the Spring of 2010, when I started noticing tons of larvae in MY car. While not as disgusting as my husband’s car, we do have three children, so there were frequently crumbs and other debris on the floor. I vacuumed every week. Every time I would think I had vacuumed all of the larvae, more would appear by the end of the week. By the end of the summer I started seeing multiple adults. They completely disappeared from the car in the fall and winter and then returned in the Spring of 2011. Although I never saw them in our house, this cycle continued for another year–disappearing in the winter and then returning in the Spring of 2012, when they became completely out of control. Larvae were in the trunk, under the seats, everywhere, adult beetles were flying around while I was driving. I only got relief when I vacuumed once a week, and they always returned by the end of the week. My mother tried to persuade me to spray the car but I didn’t want to use pesticides in my car because I had just had a new baby and was thinking of getting rid of the car anyway and purchasing another one. In Summer of 2012 when the beetles became absolutely unbearable, the car actually died. We got a new car and we moved that summer to a new place. We were so paranoid about taking the beetles with us that we threw out most of the items that were in the old car and quarantined, washed and inspected any clothes or items that we retrieved and saved from the trunk of the car. We thought they were finally gone. We didn’t see any beetles or larvae in the new house or new car from the Summer of 2012 to the Spring of 2013. I was still walking on eggshells though–every time I saw a black speck anywhere or something flying I freaked out–but it was always a false alarm. It is now June 2013, and two weeks ago, a saw an adult black carpet beetle at the bottom of a cup in our living room. About a week later, I was playing on the floor with my baby, I moved one of his toys and saw another adult black carpet beetle crawling near our area rug. A few days later, I upstairs in my daughter’s room and saw two carpet beetles crawling near her window/bed. One was brown/black striped, the other was totally black. This week, I saw a brown and black carpet beetle in my bathroom, and then a larvae near my son’s window. Today, I found about 5 or 6 larvae in the unused jaccuzzi bathtub and bathroom window in my bedroom. I am devastated, but I now know that it’s time to take action with pesticides. 1. What are the chances that we had a new infestation each time? Is this the same population of carpet beetles from Ohio–is it really possible that we brought the carpet beetles with us from Ohio to DC, and when we moved twice and changed cars? Do they hibernate and then reappear in the spring or summer? Also, why am I now seeing two different species of carpet beetles? 2. Up until now, we only saw the brown/black striped beetle and black larvae, but now we’re seeing adult black colored beetles as well. Does this mean that another species came in from outside, or is it possible for them to evolve? 3. How do I keep them out of the new car? Should I do a preventative treatment of the carpets? I can deal with them in the house until I treat and get them under control, but I am really afraid of them migrating to the car on a piece of clothing or something. It was a nightmare to have them in my car for two years and I don’t want to go down that road again. 4. If I treat them and get rid of them completely–let’s say I don’t see any for the next 5 years–what are the chances of one coming into our house or car again if we’re careful with vacuuming and keeping the windows and doors closed? I’m finally recognizing that I need to treat them with pesticide and I am looking forward to doing so with products purchased at your store. I hope it works and hope I can save someone else from the nightmare that we’ve experienced over the past 6 years. 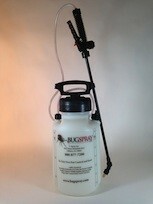 I’m looking forward to hearing from you Bugspray!! 1) You’ve had the same infestation over all the years you listed. Carpet beetles typically go dormant throughout the year and any population of varied or black carpet beetles will follow this cycle yearly like you’ve described. And I’m willing to bet you’ve been carrying the same main populous with you as you’ve moved, changed cars, etc. They definitely can hibernate and since there are many different sub species, their color will naturally vary. 2) Carpet beetles definitely come from outside but they don’t “evolve”. As stated in answer 1, there are so many sub species their color naturally varies and even offspring will vary in color from generation to generation so what you’re reporting is perfectly normal. 3) Treating car’s is really easy. It typically only takes about 5-10 seconds using Bedlam Plus which contains an adulticide and a growth regulator to get the eggs. So if you use some Bedlam monthly, you’ll never see the beetles again. And Bedlam is safe enough to use on your bed so it won’t pose a hazard to you, your children or pets – even when used where you might be sitting, resting, sleeping, etc. 4) The bottom line with all pests is that if you don’t treat to prevent them on a regular basis, they will return at some point. And no doubt carpet beetles are in the “high risk” group of pests that tend to return to where they’ve been active before. So I would say that once they’re gone, if you were to treat in the spring, summer and fall (three times a year), you could probably remain “carpet beetle free” once you get rid of the current infestation. Lastly, here’s what I think you should use. The Bedlam Plus for your cars. It’s easy to apply, has almost no odor and works great for small areas. For the home, the Defense SC and Nylar applied to carpeting, furniture, etc. Treat monthly to start; every 2-3 months once the problem is resolved to insure the beetles don’t return. Give us a call if you need further help but I think you’re on the right path to resolving this issue and with our support and product line, I know you can achieve success! What you need to do now is to assume the cars and home are all infested – whether you’re seeing any in these locations or not. I say this mostly because of the history. And if you assume this to be the case, you understand you’ll need to treat all these areas thoroughly. Now during the warm season, because it will only take a total of just 10-20 seconds of Bedlam Plus in a car to get it properly treated, I suggest you do this monthly. It won’t cost much, it will be easy to do and if you follow this pattern, you’ll never get the problem again. But this is not a “pre treatment”; this would be the “treatment”. In other words, you’ll only need the Bedlam Plus and no liquid for the cars. As for the home, you could use nothing but Bedlam Plus. But because it’s so much more costly to use in large areas compared to liquids, inside the home treatments should be done with the liquids I listed. Another reason for this is that liquid treatments just do so much better on thick carpeting compared to aerosols so it’s the preferred material. As for timing; you should follow the routine I listed for in the home if you want to get rid of them and keep them gone. One more item I didn’t mention which you probably should start using are the traps. These can be real helpful because they can start “notifying” you of problems that are happening before the problem gets too bad. So if you have 5-6 traps set out around the home and you inspect them ever 2-4 weeks, as soon as any new carpet beetles get caught, you’d know there was something happening that needs immediate attention. And you should get some of both types. Are all the treatments you’ve stated above safe for humans and pets? Hi, if I wanted to treat an entire house with just the essentials at a good cost what should I buy and how much would they be? The “bare minimum” you’d need would be some Permethrin and Nylar growth regulator. First, before you spray, give the carpeting and furniture a thorough vacuuming. Next, mix 4 oz of Permethrin with 1 oz of Nylar in a good gallon Pump Sprayer. Third, spray the entire gallon over approximately 800 sq/ft of carpeting/furniture using a “fan” type nozzle setting so the spray mixture is evenly distributed over the carpeting and furniture. Most homes will need at least 2 gallons of mixed solution applied (this will cover around 1600 sq/ft) but this will vary dependent on whether your home is smaller or larger. Retreat doing the same procedure monthly for at least 3 months and by that time, the Nylar should be kicking in and you should see a significant reduction in all carpet beetle activity (adults and larvae should be hard to find). Here are links to these items in our cart where you can see all the package sizes we offer along with the costs for each size. Please show your support for our business by purchasing the items we recommend from the links provided. Remember, this is the only way we can stay around and be here to answer your questions and keep this valuable web site up and running. Thanks for your business! Thank you! Also. would larder beetle control be almost the exact same as carpet beetle control with the same products as well? You can definitely use the same adulticide and nylar mix to control either pest in the home. For the adults, use Permethrin or Defense SC. For the eggs and larvae, you’ll want to add the Nylar to the tank mix. Both can be added to any good pump sprayer and applied over carpeting, furniture, etc. inside the home. We have been finding carpet beetles around our windows for the last few months. We didn’t know what they were. We would find an occasional larva in a kitchen cabinet in empty dishes or in drawers. We thought they were weevils but thought it was strange that they were not in food or around food. Now we know they are carpet beetle larva. I have read multiple websites on how to treat for these little buggers and I am glad I came across your website since you answer questions. The labels on the different pesticide concentrates say that the pesticides should not be sprayed on the entire surface of the carpets or on areas where people will be in contact on a regular or prolonged basis, just in the cracks and crevices and along baseboards. Your instructions say to spray the carpet, drapes, and upholstered furniture. I really want to get rid of these bugs. Is it safe to spray the pesticides on the entire surface area of the carpets and furniture? How about box springs and mattresses? I have wall to wall carpeting on our upper level and area rugs on our main level. I also have children and 1 outdoor dog. My house is large and we have seven children who are all home for the summer. Plus we have to live life! Nearly impossible to have the entire house ready for 1 big clean/spray day. My plan is to move from room to room in my home within a 2-3 week period, cleaning, vacuuming, and spraying as I go. I plan on keeping a calendar of when each room was treated, so I can repeat each room within a month’s time of when it was originally treated. I will continue to treat over a 4-6 month period as you suggest. Is there anything wrong with this plan? Or am I just going to be chasing the bugs from room to room and wasting a lot of time because I don’t treat all at once? Thanks! First, all the products we have listed in our article can be used safely in the home where people and pets live. And I’m not sure why you’re considering doing the work over a 2-3 week period. With the family present, all you need to do is have them help you pick everything up from the floor, vacuum the carpets and then leave for a few hours while you apply 2-3 gallons of mixed material to any carpeting you want to protect. Once the treatment dries, you won’t know its there and everyone can come back inside and go about their normal routine as if nothing was ever done. So with all of them present, you should be able to get the work done that much faster if you ask for their help. Second, it appears you have been confused about the labeling you’ve read or you’ve been reading labels of products different from the two we recommend. I say this because if you refer to the D-Fense label, you’ll note it says you can “spot treat”. A spot is an area approximately 1′ x 1′ so yes, this would not mean the entire floor space. But since you can treat many “spots” on a carpet as you see fit, you could – in theory – end up treating most if not all of the carpeted area. So why the limited labeling? Because carpet beetles will rarely infest an entire carpet (I’ve never seen this happen) and therefore treating the whole carpet is really not needed. But for the average person treating? More is better. This insures you get them. But if you’re still not comfortable applying the D-Fense because its labeled for spot treatments only, use the Perm 10. It’s labeled for general surface spraying entire carpets for fleas and over the years of having it used for flea control, we know it will control carpet beetles too. And this use would be well within its normal label use so that means its approved for general surface spraying entire areas like a whole carpet. In fact, its even labeled for use on pets, horses, cattle, etc. which would only be true if its safe enough to be applied to animals directly. Lastly, you could choose to not even apply any D-Fense or Perm 10 but instead go with just the juvenile growth hormone known as Nyguard. This is labeled for surface spraying all carpeting, etc. for carpet beetles because its such a low risk pesticide. Of course, this low risk has its cost. Nyguard is so safe, it won’t kill the adults – just the eggs and larvae! Still, this is really all you need to do to control carpet beetles and since Nyguard applications will last 3-6 months, if you go with this material you won’t have to spray nearly as often as you would using the regular Nylar and adulticide. In summary, though there are some basic safety guidelines you should follow regarding the proper use of our products, there is no need to feel you can’t apply them to as much of the carpet as you feel you need to treat. That being said, I would limit the application to the edges, under furniture, etc. because in my experience, these pests don’t like being out in the high traffic areas anywhere so no need to spray them all. But carpet beetles do love being where pets are present so if you a dog or cat, no doubt their hair and dander can make for prime carpet beetle food so its important to treat where your pets spend a lot of time. Give us a call if you have other concerns or questions; our toll free is 1-800-877-7290. How bad is my situation as it seems really bad to me? I do not see any adult beetles but find 2-4 larvae everyday on the baseboard. My daughter calls me the Bug Hunter as this is exactly what I do the minute I get into the house, pull out a flashlight and start inspecting all baseboards on all 3 floors. The basement is carpeted and I haven’t seen any in the carpet and the corners that I pull up but I am so tired of seeing the larvae everyday. I vacuum 3-4 times a week on hands and knees, all the baseboards. I have a toddler and a young baby so very hesitant to use chemicals – although I know the ones you listed are safe. What would be my best course of action and how long does it take to get rid of them? I feel like I have no time for my family as I am constantly cleaning and vacuuming. It’s takes me at least 3 hours just to vacuum and being a working mom, I would like to spend time with my kids after a long day at work rather than chase these pests – trying to ensure my kids have a clean floor to play on. Thanks. First, even though your vacuuming will help by removing migrating larvae and adults, it won’t solve the problem. This means you should expect to keep seeing larvae indefinitely unless you start treating. In other words, you’re basically wasting your time by vacuuming and should instead spend it with the family. This would be infinitely healthier for you and your children. Second, its important to realize carpet beetles can live on furniture, drapery and basically many other areas besides carpeting so don’t limit your focus to just this part of the home (basement). Third, a good treatment program for you to initiate would include traps and spray. And the best spray to use would be the Defense SC and Nylar combo. To treat effectively, you’ll need to lightly mist your carpets, under furniture cushions, any drapery you have, etc. at the rate of 1 mixed gallon of spray for every 800 sq/ft of surface area. Do this monthly for at least 3 months and the problem will be solved if you do the work properly. Now if you only have 800-1000 sq/ft to treat, you could use the Bedlam Plus aerosol instead of the liquid spray. It’s already mixed, easy to apply, just as effective and very convenient to use. So for small jobs, its a good choice. But the liquid is the way to go for most homes since its cost effective and over time, if you need to treat 1500-2000 sq/ft every time you spray, the liquid is the more economical way to go. Fourth, install both Larvae and adult Carpet Beetle Traps throughout the home. These will help by both capturing beetles and by alerting you to problem areas you may have otherwise missed. I have some questions as I get ready to treat my home for carpet beetles. I see larvae daily but I can only recall once seeing an adult. 1. I have hardwood floors throughout the entire house, there are three area rugs (living room, dining room, and one of the three bedrooms) but no wall to wall carpeting including in the closets. I saw that in response to someone else asking about treating hardwood, you mentioned it doesn’t need much treatment. One of the bedrooms has newer hardwood that has crevices between the boards as part of the design. I’ve seen most of the larvae in this room in the crevices, several feet away from the wall (there is no area rug in this room, by the way). I’m wondering how to go about treating the floor? Since I’ve seen the larvae in the middle of the room, is it correct to assume that I need to treat the whole floor? 2. Should I treat the mattress? I’ve never seen any larvae or casings in the bed. 3. How should I treat the closets and the bureaus? I’ve seen larvae in both of these areas. Should I empty out all the clothing, wash/dry clean all the clothing, treat the closet/bureau, and then put all the clothing back? What products would you recommend for treating a closet and the insides of a bureau? 4. I think somewhere it was mentioned that after treating, one should not further clean (i.e. shampoo the carpets) because it would cancel out the treatment. What about treating a bathroom? I’ve seen multiple larvae in the bathroom roaming on the grout where the wall meets the floor. Does the humidity in a bathroom affect the treatment? Should I treat the bathroom more frequently? Any and all advice you have to offer is welcome! Thank you! 1) Hardwood floors need to be vacuumed thoroughly to help remove all stages of carpet beetles as well as their food. Next, a good option is to broadcast Bedlam Plus over the area. Now since spraying Bedlam can leave noticeable marks on high gloss finishes, it’s best to “test” a spot or two before treating the entire floor. This way you can make sure you’re okay with any residue it might leave. Now if you determine you don’t like how it looks after you spray some, you’ll need to get PT-PI instead. PT-PI comes with a tube injector type applicator which you can use to direct the spray into the cracks and crevices of the flooring. Since these are the key areas to treat for carpet beetles, its well worth taking the time to treat the flooring one row at a time. 2) Since carpet beetles can thrive on drapery, area rugs and pretty much anything with fabric, mattresses are a prime location for them to live. I recommend treating all your mattresses with Bedlam Plus just to be sure these aren’t the main source of the problem. 3) Empty all the clothing from closets and bureaus and treat these areas with Bedlam Plus and/or PT-PI. Clothing can be washed and put back safely after the treatment dries. This should take 1 hour or less when done properly. 4) Definitely treat your bathroom since carpet beetles typically thrive in these areas since its nice and humid. And yes, the humidity will affect the treatment. Basically it won’t last as long so you’ll need to renew it at least once a month to insure it’s in place working in these areas. Use either the Bedlam Plus (it’s usually the easiest option since you can broadcast it out over the surfaces quickly) or the PT-PI (it’s usually easiest to use when treating cracks and crevices since it has the injecting tube). Some other thoughts; be sure to treat the top and bottom of all area rugs. Too many times people treat just the top of their area rugs and forget about the bottom side. Carpet beetles will thrive on the bottom since it’s typically well protected, dark and ideal for their life cycle to prosper. For these areas, go with the Defense and Nylar mix applying 1 gallon of spray per 800 sq/ft of carpet. And don’t forget all your couches and other furniture made with fabric. The bottom sides of these pieces can be liquid sprayed but be sure to remove cushions to treat all hidden areas too. Lastly, get 4-6 carpet beetle traps installed following the treatment. Also some dermestid monitors. These can really help in the process by alerting you to problem areas you may have missed. Hi. I have been reading all the posts as well as the information you have on here, so thank you for the information!! My question is in regards to a rental house that I do not yet live in, but had planned on living in. I found 1 or 2 larva on the walls of each of the rooms in the rental house. I had never seen anything like this before, so I googled it (after taking a picture for comparison before squishing it and discarding of it) and quickly realized it was in fact carpet beetles. I then notified my pest control company who regularly sprays my home I live in now and they sprayed all the rooms, carpets, closets, kitchen cabinets and drawers, air vents and even some on the walls. The pest control man said the chemicals he used are what he uses for cases of fleas, bed bugs and carpet beetles. I have severe hesitations about moving into a place knowing it has a current infestation, and I don’t have one currently at my present location. Would you have hesitations about moving in? Also, what are the chances that I have carried some of these horrible pests from the rental house into my car or current home from just walking on the carpets there??? Personally I have only lived in new homes for the past 20 something years. But before I was able to afford a new home, I too found myself moving from one rental unit to another. And since I was in the pest control industry when making these moves, I would always treat the house or apartment thoroughly before moving in. The reasons are many but the main ones were simple. First, treating is always easiest when living spaces are “open” and in between tenants. Second, a living space that has prior occupants will no doubt also have a host of debris, germs and insects. Granted these amounts may be insignificant but why gamble? For me, there was no reason to roll the dice. Instead, I decided to take matters into my own hand with a few easy steps. First I would thoroughly vacuum and then clean the home or apartment prior to moving in. Next (after cleaning it), I would treat it thoroughly to insure I wasn’t moving into some kind of bug infested space. So at this time it would seem you’ve already done the preliminary work by having the home treated prior to you moving in. So with that being said, I would have no hesitations about moving it (if I did the work). But for you; as long as you trust the company you hired, then you shouldn’t worry either. As for the chances of carrying some carpet beetles home? Not likely. Carpet beetles aren’t known to translocate by hopping on people. No doubt it would be a concern if you were taking furniture or carpets from the new unit and bringing them to your existing home. But just walking around the area will not be risky – especially if it was treated properly. That being said, I definitely suggest setting up some Carpet Beetle Traps and Dermestid Monitors in the rental home ASAP. This way you’ll be able to monitor the area prior to the move and even after you’ve moved in and settle. As our article above explains, carpet beetle problems are rarely resolved after one treatment so followups are very much the norm. And if you have some traps in place collecting beetles (or at least ready to collect them in case there is activity you don’t see), these areas can then be identified and once known, more thoroughly treated to insure the problem is completely knocked out. I have read your article and most of the comments. My only question is what would you recommend for my home? My husband and I just bought a home in January of this year (2014). At the end of February we had to replace the dishwasher that came in the home and shortly after that we started seeing some little black beetles. Initially I thought nothing of it and assumed that using the heat after months of a vacant home caused some bug eggs to hatch, after killing a few of them (and other insects like spiders and what not) I decided to purchase some pesticide and spray the house (Ortho home defense). It worked great except for what I found out they are carpet beetles. When the home defense didn’t work I started doing some research and purchased a pesticide that said it killed carpet beetles. I deep cleaned my home then sprayed every door, window, baseboard, and carpeted area. I didn’t do enough research to know that it didn’t kill eggs. It is a treatment that keeps killing for up to 3 months after use so now I find some dead beetles along the floors however I mainly find adult beetles in my kitchen near the sink and window, all over the counter and window sill. I have a dog and a toddler so I have been hesitant on bombs, which I now know will do nothing to them anyways. After speaking with my neighbor who told me she has a problem as well that started about two years ago, then another neighbor told me the previous tenants (the only other owners of the home) were not very clean people and had a rodent problem in the past, and from my understanding carpet beetles like to live in nests and will live off rodents, perhaps this is where the problem started- not too sure. Either way, I think I am dealing with a bigger problem than even I initially thought. I am not seeing any larvae, that I know of, just adult carpet beetles. I have been vacuuming my home daily (some times twice a day or more), where the baseboards and carpet meet, in every crack and crevice I can fit my vacuum hose under. I have spoke with a few exterminators, some say the problems could be coming from attic or crawl space, others say impossible, should I check the crawl space and the attic? Which products should I use? How should I treat my home? I forgot to mention that we moved the new dishwasher out, found a good amount of beetles under the dishwasher so we sprayed under there and caulked a hole that was leading to the outside, and put the dishwasher back, now I am finding them under my sink again, dead however since I also sprayed under the sink. First and foremost, you need to get a positive id on this beetle. Though it sounds like carpet beetles, there are other species which like to fly toward windows a lot more than carpet beetles and if it turns out to be another species, you’re current pest control treatment effort could be in vain. So I recommend you either send some to us to positively id or bring some to any local pest control company to see what they say. Now once you know its carpet beetles for sure, seeing that many adults foraging around the home means you will need to do a more thorough treatment using the Defense and Nylar listed in our article. Apply 1 gallon of mixed solution for every 800 sq/ft of carpet, furniture, etc. to make sure you get enough applied. One of the most common mistakes people do when treating is that they don’t use enough of the mixture. And you need to treat every month until the problem is resolved – even though the Nylar can last longer. Next, dust every electric light fixture, outlet and under switch plate covers to stop any that might be entering your home from the walls. Use the Deltamethrin Dust for these spaces. You will also need to apply the Defense and Nylar mix to the homes exterior foundation, around windows, doorways etc. Lastly, set out some Black Beetle Traps throughout the home to help monitor the problem. They’ll catch foraging adults and this will enable you to hone in on where the most activity is centered. No doubt the problem you have is extensive and if it’s carpet beetles, getting the source sprayed with the right chemicals will be the only way to resolve the problem. And the products listed above will definitely do the job as long as you’re getting them applied at the right rate in the right locations. You will not need to use the Permethrin. It’s either the Defense or the Permethrin for an adulticide and based on your situation, the Defense would be the best option by far since its “stronger” and over time will be a lot more economical to apply. As for retreating; this should be done within 1-2 weeks if you continue to see emerging adults. But if you only see a few adults after a good initial application during the month, treating once a month for 6-12 months should resolve the problem. The rule here is simple; make sure they don’t have a chance to repopulate so if the hatching adults are in large numbers, a retreatment will be smart to do. Also, set out both Black Carpet and Varied Carpet beetle traps. You can mix and match for volume discounts too; 3 of each will get you the quantity discount. I have identified I have carpet beetles. The problem is I live in apartments. So for them its not an urgent thing. My son has gotten an allergic reaction to the larvae hairs. So now they have come and sprayed twice in one week. And still like that I see larvae moving around even in the areas I have cleaned out. What else can I do. If you read our article above, you’ll learn there is no spray which can kill the eggs and pupae. So even when a treatment is just applied, it will only kill the currently hatched adults and larvae present at that time. But since eggs are hatching daily, there will most certainly be more hatching the next day so you can definitely be finding new ones whether you clean or spray. Its just what typically happens. And yes, the treatment will kill these newly hatching larvae after 2-4 days (as long as enough was applied), but for a few days they’ll survive fine. So what else can you do? Simple. Get some of the Defense and Nylar we have listed above and treat the problem areas yourself in between visits from the treatments you have management doing. So by treating these areas yourself, you’ll be able to kill the newly hatching adults and larvae daily without having to wait for someone else to treat. I’ve read your informative article and skimmed through the comments, but I still have a question. I just want to get rid of my paranoia and ask: What would you consider an “infestation”? Earlier today I found two Varied Carpet Beetles in my laundry bin and I believe I’ve found another in the past (I would say roughly a month ago). I don’t know if this qualifies me to begin treatment or not. I have read in other places as well as seen videos on the topic, but they have told me to just keep the house clean and in good order. The insects were found only in my room and I’m worrying about this because I would love to sleep comfortably without unwanted company. Please answer when you have the time. Great question! And having been in pest control for over 30 years, I can say there is no definitive answer. In fact, I don’t think it much matters. How can that be? I’ll tell you. I’ve been in homes where I immediately saw 50 or more roaches casually walking on the walls and ceiling. Considering it was the middle of the day, in my opinion the home was infested. But in fact the customer called for service because they thought they had mice or rats. And when I asked about the roaches and what was being done, they were surprised I was asking because as they put it, “this is nothing compared to what we used to have”! Now guess what. I could tell you story after story of similar events involving a wide range of insects. As crazy as it sounds, this has happened many times during my time afield. In the end, I’m sure my stories would prove to you that every person has a different tolerance to insects. And this indifference leads to varying degrees of acceptance. That being said, in most cases all significant problems start small. And if the nuisance pest is something that can do damage, it only stands to reason that giving them a chance to one day amount to significant numbers would be foolish. So what pests fall into this category (insects that can cause damage)? Definitely wood destroying insects like termites, powderpost beetles, carpenter bees and carpenter ants. But fabric eating pests like clothes moths, cigarette beetles and carpet beetles can be just as damaging (and therefore costly). I can’t tell you how many old and quite valuable oriental rugs I’ve seen destroyed by carpet beetles. And since they love wool, cotton, silk and other natural fabric commonly used for fine clothing, they can inflict costly damage to most any kind of clothing, couch or rug as well. In the end, allowing just one pregnant female carpet beetle to lay eggs can amount to a significant problem. And if you ever find a single carpet beetle in your home, as far as I’m concerned its time to treat. Basically this is the only way you can insure a significant problem won’t develop. And so why wait and roll the dice? Clearly doing a treatment 1-2 a year before you allow them to get established would be smart and the way to proceed for many reasons. Besides alleviating unneeded stress and worried thoughts about what “might” happen, treating 1-2 a year would remove them as a threat along with many other pests making the process the best insurance policy available. In the end, its a personal decision and one you’ll have to make. Just remember, certain pests like carpet beetles are very easy to control if dealt with before they’re well established. That alone is plenty of reason to consider taking control of the situation at hand and choosing to knock them out before they get a strong foothold in your home. We have an isolation in between the walls in my basement. The other day we found carpet beetles in there. How can we get rid of them? It’s not easy to reach the area and I know that there is are eggs and live carpet beetles in there. What do you recommend ? At this point we are planning on taking down the walls and removing all the isolation we have on the basement. Carpet beetles will readily move into wall voids since they like dark, hidden spaces. And if the walls are insulated, they have plenty of food too since they eat wood, paper products and many components commonly used for insulation. Basically you’ll want to inject the dust into small 1/4″ holes so it penetrates the area behind the wall. Use a hand duster to make the application. Deltamethrin Dust is far superior to any kind of liquid spray because it will last 6-12 months. During this time it will be killing adults as well as hatching eggs so after 2-3 months, the problem will be over. Now if by chance you still want to take down your walls, be sure to to dust the back of the wall, the cement foundation wall behind it and any studs with Deltamethrin Dust before reinsulating. You need to do this since eggs will be on these surfaces so even though the insulation will be replaced, there will be plenty of eggs laying around ready to infest the new insulation if you don’t treat. Hi! Thank you for all this great information. I do have a question – I have been finding about 5 carpet beetles a day in my kitchen. I haven’t spotted any larvae and I haven’t seen any adult beetles in any other part of my house. Does this mean the infestation is in the kitchen? Thank you in advance for your response! As our article above explains, carpet beetle larvae do not want to be seen so in general, they’ll go about their business undetected so not seeing any is what we would consider “atypical”. Adults, on the other hand, will move about looking for a mate and in the process, end up anywhere. In fact most places where adults are seen are rarely the “problem” so if I was to guess, I’d say the kitchen is probably the only place you wouldn’t have to treat! In summary, one must use the “shotgun” method of spraying meaning all carpets, furniture, etc. should be treated to ensure you don’t miss nests. Using this approach with the liquids listed above will take out any level problem you might have and even if some adults were to appear in your kitchen, its not likely they’ll find food suited to feed hatching young even if they were to lay eggs this area. But if you don’t have carpet in the kitchen, treating the floors and baseboards with the Bedlam or Dust listed above would keep you protected so it won’t matter. In the long run, this would be the best way to proceed. I’ve been getting “bites” which I’ve since determined to be allergic reactions to carpet beetle larvae, once a month or so since about January. The only way I know they are carpet beetles is because I have found some dead adult beetles on my windowsills, and I once spotted a live adult. I haven’t found any larvae or casings or anything around though. I’ve just purchased the D-fense and Nylar to spray around my home. My questions are, do you think this will be enough or will I need some of the other recommended products as well? And how thorough do I need to be? Should I remove clothes from drawers and closets and spray in there? Also wondering about the areas of my house that are not carpeted. The front half of the house has carpeting and upholstered furniture and the rest has tiling and is mostly bathrooms/kitchen. Do I need to treat these areas as well? I have one closet that is in this tiled area (the closet itself has no carpet as well), and a whole tiled room away from any room with carpet. I haven’t found any sign of bugs in there.. will I need to treat those clothes? The products you ordered should break the cycle assuming you treat all carpets and furniture in the home. But you will need to be thorough. As our article above explains, larvae like to “hide” and since they don’t travel far, they could be under furniture, under cushions and “inside” the piece. So if it has a bottom that you can remove to spray up and “into” any box springs built inside the piece, spray there for sure. As for dressers, drawers, clothing; these areas can be emptied and vacuumed and if any spraying is to be done, use the Bedlam Plus listed above. It won’t make a mess and ideally suited for these areas as well as any hardwood or tiled floors. If you’d like, we can add one or more cans to your order; just let us know before noon tomorrow.